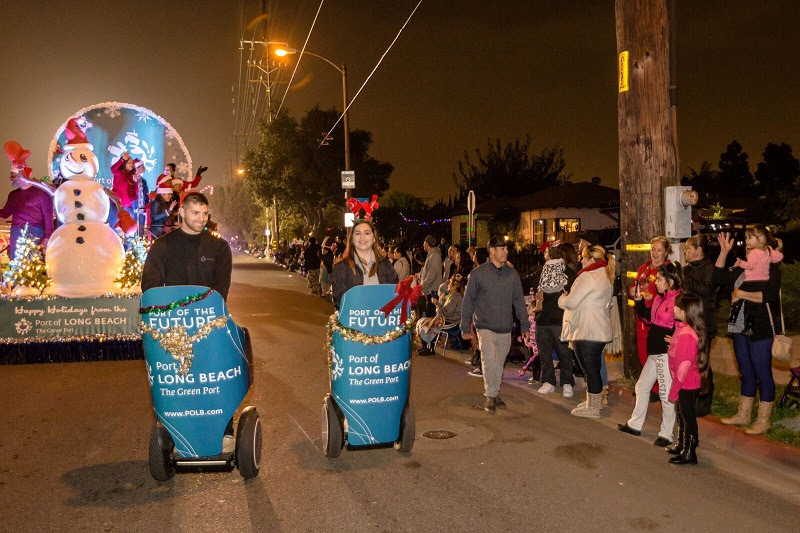 To raise awareness about maritime trade and promote social responsibility, the Port of Long Beach sponsors many community events, such as the Daisy Avenue Parade. Image courtesy of the Port of Long Beach. The Long Beach Board of Harbor Commissioners awarded $440,650 in sponsorships to 100 local organizations promoting causes including the arts, environment, social justice and historic preservation, it was announced last week. The Port of Long Beach’s (POLB) community sponsorship program aims to educate and engage the public about the port’s vital role in international trade while showing its commitment to being a responsible neighbor. The board approved a $1 million sponsorship budget for the 2018 fiscal year that began October 1. Organizations can submit their request for funding twice a year in September and March. The Cambodia Town Culture Festival, the American Cancer Society’s Long Beach Cancer League Gala, Fourth Fridays on Fourth Street and the International City Theatre’s Free Saturday Family Theatre Series were events sponsored by this call, according to the release. At select sponsored events, staff members of the port attend to provide information about the POLB. As part of a sponsorship agreement, recipients also give the port promotional opportunities at events. For more information about the sponsorship program visit the link here.